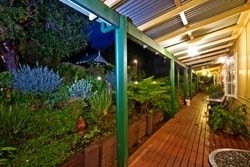 Travellers worldwide love the ambiance, history, hospitality and vibrancy of the Margaret River Guesthouse as well as the convenience of being positioned just minutes from the Margaret River Town Centre. Driving into Margaret River is the beginning of the perfect break where we recommend good food, great wine and that you do very little of anything else. 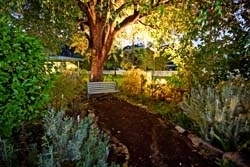 Margaret River Guest House provides a slice of country bliss, set amongst lush gardens and green lawns where you will feel a million miles away from your hectic life. 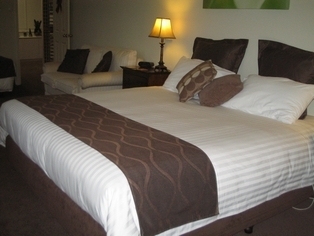 Perfectly located in the heart of Margaret River our Bed and Breakfast accommodation is ideal for couples and groups alike. Only a 2 minute stroll to Margaret River town centre, cafés, restaurants, shops and just a short drive to world class wineries, beaches and other great attractions. After a hard day of wine, chocolate and cheese tasting, we recommend you sit back on the verandah and enjoy the spoils of your day, while reading a good book or just watching the birds feed amongst the flowers. 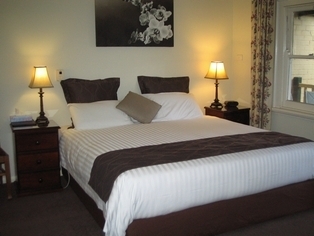 We have 6 guest rooms all renovated in July 2010 with ensuite, a host of special features including a great breakfast, warm hospitality, log fire, air conditioning, attractive rates and world class wines and attractions at your door step. 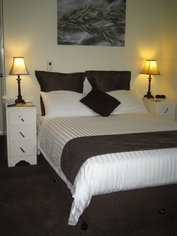 Margaret River Guest House Accommodation is the place to stay while visiting the greatest part of Western Australia. This warm and inviting room has a Queen bed and sitting area, with a French doors that open to your own little court yard and out door setting. A touch of seclusion is felt in the room. Your private ensuite is fully stocked with fluffy towels and aromatic toiletries. Your room also has a range of coffee, tea, biscuits and milk daily, Air conditioner/ceiling fan. 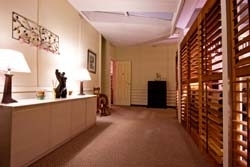 Access to guest lounge, library and Log fire in lounge area. 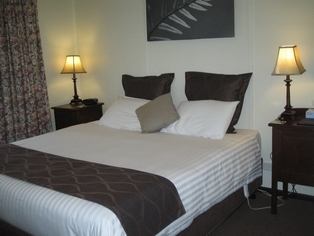 This warm and bright room with French doors to verandah, has King size bed and ensuite bathroom fully stocked with fluffy towels and aromatic toiletries. Your room also has a range of coffee, tea, biscuits and fresh milk daily. Popular with those who wish to just sit with a good wine and local cheese and watch the day pass by. King Bed Private Ensuite/Bathroom Electric blankets LCD TV, DVD Refrigerator Access to guest lounge Air conditioner/ceiling fan Log fire in guest lounge. 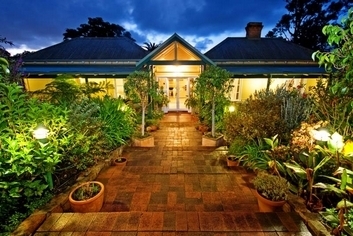 Margaret River Guest House is easy to find. When arriving in Margaret River from Busselton turn right off the Bussell Highway into Tunbridge Street, immediately before the Tourism information centre and then first right into Valley Rd. Margaret River is an excellent base from which to explore the Cape to Cape region which includes the Margaret River Wine Region, Augusta, Busselton and Yallingup. We recommend at least 3 nights to experience all that this region has to offer, both man made and natural. With Margaret River's main street a mere 2 minute stroll away from our Guest House you will find all you need including a tavern, english style pubs, world class tourist bureau, supermarkets and a host of speciality shops. We also boast several superb restaurants and cafes. Whatever you fancy for dinner, Margaret River can cater for you. 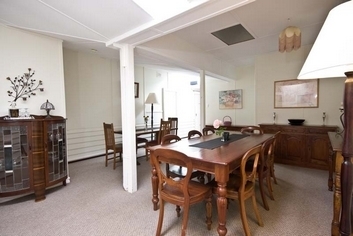 As well as art galleries, weekend markets, three service stations, newsagency and library.